A Union Pacific employee was arraigned Tuesday on felony negligence charges for his role in a fatal crash at a Gilroy railroad crossing last year. Lindberg Thompson, 58, slammed a massive rail maintenance vehicle weighing an estimated 50 tons into a pickup truck making a left turn across the tracks on a green arrow at Masten Avenue and Monterey Avenue. Don Williams, 55, was killed in the collision as he returned home from work. According to the California Highway Patrol accident investigation and multiple witnesses, the rail maintenance vehicle never activated the crossing gates or warning bells at the crossing, giving drivers no warning the vehicle was approaching. Witnesses say the same rail maintenance vehicle failed to activate the crossing gates at other railroad crossings minutes before the crash. Thompson, who was operating the maintenance vehicle in reverse with an obstructed mirror, violated multiple Union Pacific safety policies, according to the Federal Railroad Administration. According to the accident investigation, Thompson never stopped the rail vehicle when the crossing gates failed to activate, blindsiding Williams as he crossed the tracks. Santa Clara County Deputy District Attorney Traci Mason said they decided to file felony negligence charges because of the multiple safety precautions Thompson failed to take. "We filed these charges in part because of the negligent operation we believe occurred in this case, but also because there was a tragic death," Mason said. "The message that we have is that when there are rules and regulations in place, they need to be followed." 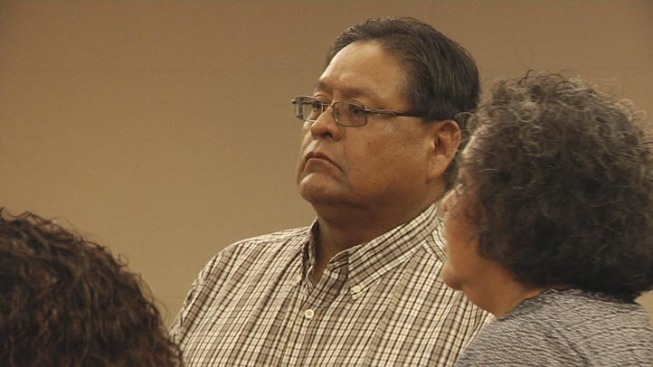 Thompson, with the aid of a Navajo interpreter, pleaded not guilty to the charges. NBC Bay Area could not reach him for comment. A May NBC Bay Area investigation found rail maintenance vehicles don't always activate the crossing gates and warning bells at railroad crossings, putting drivers at risk. According to the Federal Railroad Administration, there have been at least 187 accidents involving these types of vehicles over the past five years.